Welcome to Jazz Vespers 2017! We have assembled our merry band, singers, leaders and readers. 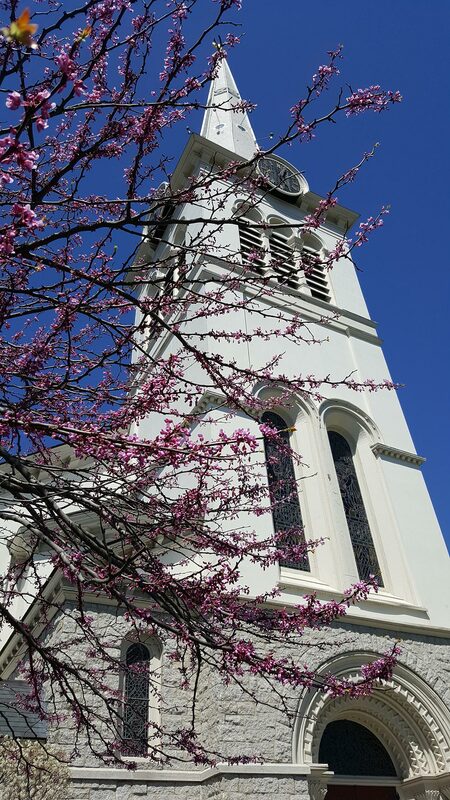 Join us for a warm and welcoming encounter with the sacred through a music-shaped, experiential worship service on Saturday, March 18, 4:00 PM., in our Sanctuary, our first Jazz Vespers of the spring. 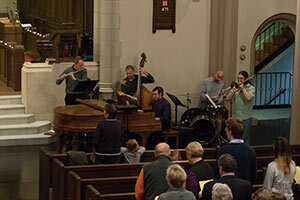 The service represents a mix of prayer, poetry, scripture, congregational singing, and live jazz. Through these elements, we walk through an ancient service of prayer in a creative, informal, and meditative way. With Rev. Will and Rev. 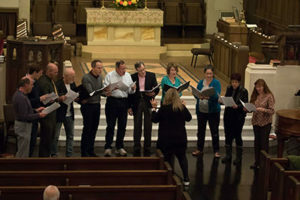 Judy at the helm, our resident jazz band (piano, bass, drums, trombone and flute) leads the way, and members of the choir offer close harmony/jazz arrangements of traditional hymns and sacred songs. There is the music of Heaven in all things. Either Rev. Will or Rev. Judy will offer a brief message during the service. Our service will be intimate yet lively, contemplative yet participatory—perfect for modern day seekers—those who are already connected to our church, and those who live in the greater Winchester area! If you have any questions, please do not hesitate to contact me! I look forward to seeing you there, and I hope you will consider inviting your friends and neighbors!